Do you like teaching and want to make your passion your profession? Do you think it is necessary to have a degree in order to study what you like? If this is your case, you are lucky because, if you have a degree or not, at Instituto INTER we offer what you are looking for. You are on the right way to open the doors to the labour market sooner than you could imagine. According to the data of the Public State Employment Service, the Children’s Educator degree is the one that has received the highest number of recruitments in the past few months. Sounds good, right? Well, this is nothing, keep reading and taking notes of everything you can get thanks to our Free Time Instructor and Children’s Education courses. Discover them! Are you passionate about being a Children´s Education Professional? Having a passion for teaching the youngest is essential to study Children’s Education. A beautiful job in which you work with children aged between 0 and 6 years. If you feel that your goal is to promote the integral development of children, help them to achieve healthy and educational habits … Definitely this profession is the best for you. Once you finish your degree you will have acquired the necessary skills to understand the different development stages of the youngest ones: physical, social, affective, sensory, cognitive, sexual, psychological, motor development, and the evolution of the child’s language. You will be ready to leave your mark in the future of the little ones. An experience you are going to love. Children’s educator in the first cycle (educating children from 0 to 3 years old): either in public or private schools. Children’s educator in institutions or work programs with children (ages 0 to 6 years): in situations of social risk or family support. Educator or animator of children and young people in leisure time activities: in houses of culture, libraries, schools, leisure centres, etc. Children’s Assistant or Auxiliary in nursery schools: either in a playroom, libraries, schools or nurseries. Dining instructor: in schools or day care centres. What courses do we have for you? Free Time and Educational Activities Instructor for Children and Youth. You just have to choose the one that best suits you. We bet on a training that prepares you for real life. We have been collaborating with professionals like you for more than 40 years. Job bank: we have an Official Employment Agency, so you can start exercising your dream job. 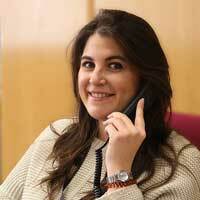 Internships in companies: when you finish your course you will do internships in schools or nurseries throughout Spain. Official Diploma: you will obtain your diploma with professional validity from Instituto INTER. You can repeat without additional cost: if you finish your course without reaching the level you were looking for, you have the possibility to repeat it without any cost. Our students: the best cover letter of our centre. Your moment has arrived. The day you start to become the children educator you want to be and what schools need has arrived. Ready to take the step? We are happy to explain to you what you like. You just have to ask for it!